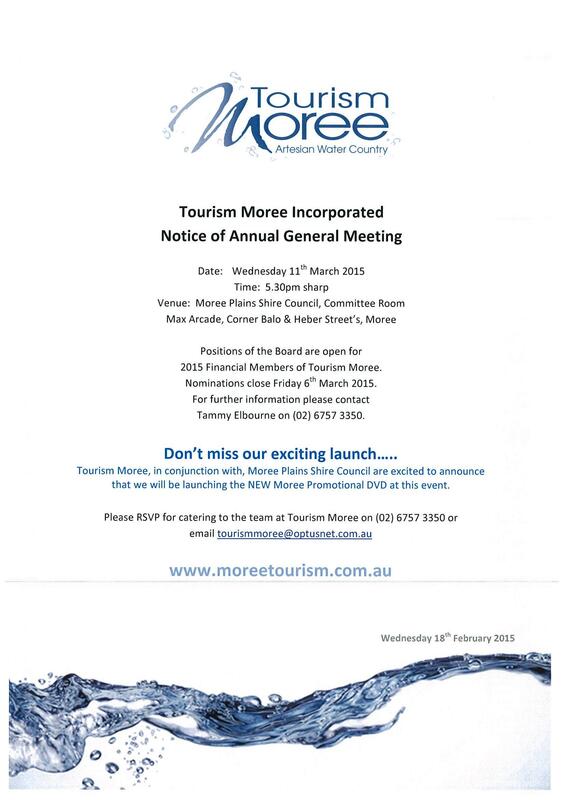 Positions of the Board are open for 2015 Financial Members of Tourism Moree. Nominations close Friday 6th March 2015. For further information, please contact Tammy Elbourne on (02) 6757 3350. Tourism Moree, in conjunction with, Moree Plains Shire Council are excited to announce that we will be launching the NEW Moree Promotional DVD at this event.